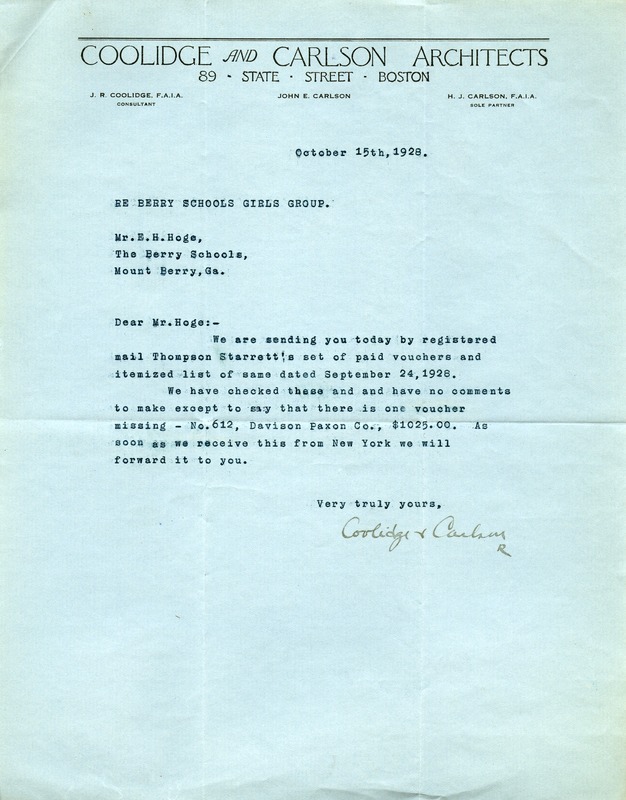 Coolidge and Carlson notifies E.H. Hoge that paid vouchers from Thompson Starrett have been sent. Coolidge and Carlson Architects, “Letter from Coolidge and Carlson to E.H. Hoge.” Martha Berry Digital Archive. Eds. Schlitz, Stephanie A., Sherre Harrington, et al. Mount Berry: Berry College, 2012. accessed April 21, 2019, https://mbda.berry.edu/items/show/6978.